If you encounter technical issues like freezing or crashing, the game failing to open, or blank slot reels, it can help to try uninstalling and reinstalling the Jackpot Magic Slots app. This ensures the game's files are complete and that the latest updates are installed. Tap the menu button in the top-left corner. 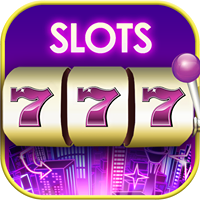 In the list of apps, press and hold Jackpot Magic Slots. When the option to uninstall appears, tap Yes. Return to the Appstore home screen. Tap Install next to Jackpot Magic Slots to reinstall.